As a lifelong Detroiter and a documentary filmmaker, I seriously considered making a documentary film on Mayor Dave Bing and his four and a half year-long tenure as Mayor of the Motor City. However, I realized after a moment of reflection that someone else had already made that movie. 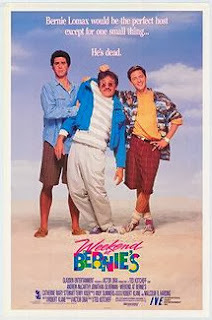 It was called Weekend at Bernie's, with Mayor Bing playing the role of Bernie Lomax. What is left of Kwame Kilpatrick's political machine, of course, played the parts of Richard and Larry in that movie. There is no point in me making yet another sequel to that movie. I suppose this means that will just have to figure out a different project to work on in the coming months instead.